This delicious spread takes the delicious peanut butter you know and love and combines it with the goodness of protein! Yes, it’s not a dream! 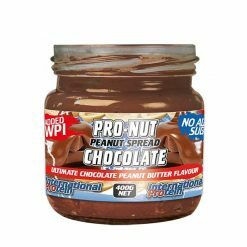 This delicious spread comes in original roasted peanut flavour as well as the ultimate chocolate peanut butter flavour. 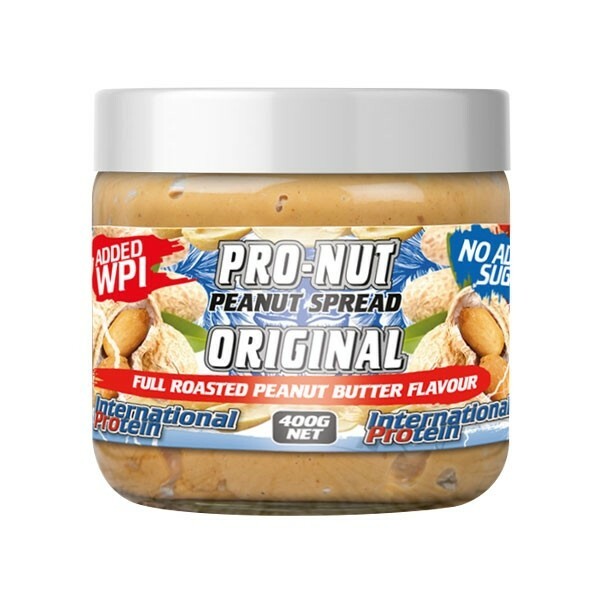 They are made using international protein Whey Protein Isolate (WPI) as well as Australian high oleic peanuts. Each 2 tablespoon (32g) serve of Pro-Nut spread contains over 10g of protein! 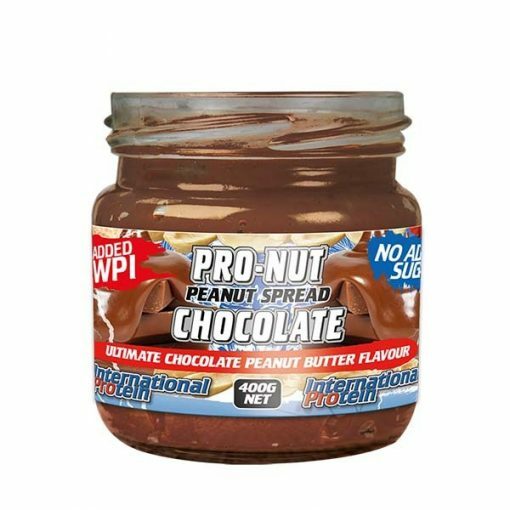 Making it the perfect protein partner for any loaf of bread, as well as added protein intake for your sporting needs. It has a smooth, non-gritty texture and doesn’t contain any added sugar, so you can be sure that it tastes great and you’ll also feel great while enjoying these. Each recommened serving is 2 tablespoons (32g) and can be spread or mixed into any food/beverage of choice. 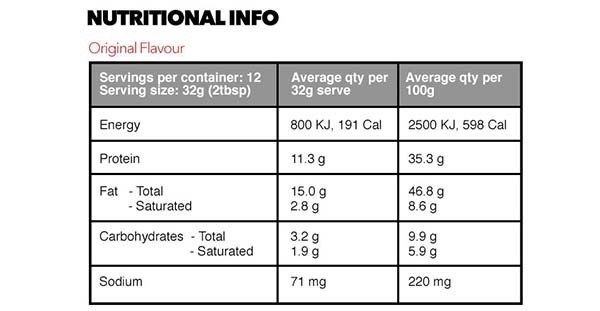 More can be consumed depending on individual preference or needs.